Boiler Maintenance | Superior Supply Co.
Now is the time of year everyone should have their heating systems serviced. If you are like most, you have skipped having your boiler serviced for a few years. For those of us that like to procrastinate here are a few things to dwell upon. Age: Condensing boilers haven’t been in the US for long and therefore are difficult to predict their longevity. With proper maintenance however, manufacturers imply that they are expected to last up tot 15 years or longer. Cast iron boilers, on the other hand have been installed and proven to last for 20 years and longer. With good maintenance, some of these boilers have been known to last 50 years or longer. Countless old units are still in use here in the Elmira and surrounding area. However, their efficiencies are much lower than that of boilers of today. Often the energy savings experienced by installing a new boiler practically pays for the cost of a new boiler within a year or two. Energy Expenditures: Remember that not all the cost associated with your heating system is fuel. 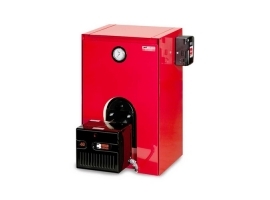 Many times, the cost to repair or just maintain an older boiler can outweigh the cost of fuel. If a boiler requires constant servicing, the system has likely become less efficient than it was when it was installed. You may want to consider upgrading to a more reliable, more efficient system. Additionally, a noisy unit could also be a sign that it’s time for an upgrade. Discoloration: Yellow flames on gas burners and black soot on oil boilers indicate that the fuel is not burning efficiently and is in fact creating carbon monoxide. Superior Supply highly recommends that property owners have carbon monoxide detectors installed. Leaks: A boiler that leaks or requires additional make-up water could be nearing the end of its life cycle. By replacing the existing unit, the owner can avoid costly floods and property damage. Even if a boiler isn’t immediately failing, upgrading to a newer system can offer significant benefits. By planning the change, rather than facing an emergency in the throes of winter, home owners can realize energy savings, a more comfortable home, improved heating reliability and increased property value.